Inside the U.S. government, there's a growing sense that the problem of East Africa's ocean-going pirates is only going to be solved on land, perhaps by doing some nation-building in Somalia. Last year, I got a chance to see how such a project might work. I paid a visit to Carlisle Barracks, Pennsylvania, to observe part of Unified Quest 2008, an Army wargame that tests the U.S. government's response to fictitious crises in the not-so-distant future. Last year's Unified Quest focused on an the potential ways in which globalization, competition for energy resources, population growth and failing states could create a recipe for "persistent conflict" in different parts of the world; it included a Somalia scenario that took place in 2025. 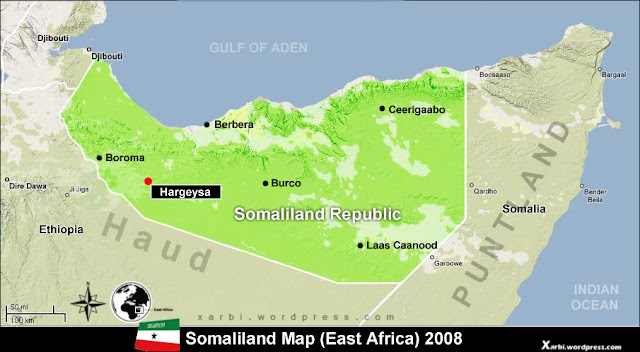 The 2025 wargame was supposed to test how the newly-formed U.S. Africa Command could respond to a crisis in the Somalia's neighborhood, the Horn of Africa. James Embrey, a retired army colonel with the Army's Peacekeeping and Stability Operations Institute, played the head of a task force that leads the Somalia nation-building coalition; he said the scenario showed how a unique command like AFRICOM could employ soft power (diplomatic skills and conflict prevention) instead of resorting to force. And to drive home the point, the exercise included representatives from academia, foreign militaries and other agencies of government. "The supposition that we are making here is that the whole-of-government interagency planning and framework has been cured, there have been the proper structures built in terms of a special co-ordinator for reconstruction and stability -- a planning element, if you will -- and, in turn, the requisite civilian expertise in terms of civilian response corps, additional subject matter experts that are almost like an interagency reserve force, have come online," he said. To translate the Pentagonese, Embrey was talking about a civilian nation-building reserve that would be on standby to support reconstruction missions overseas. The State Department's Office of the Coordinator for Reconstruction and Stabilization in the process of creating an active and standby force, but a true civilian reserve is still in its embryonic stages. The whole point of the exercise was to intervene in the hypothetical crisis before it spiraled out of control. As Pentagon spokesman Bryan Whitman suggested yesterday, lots of "non-kinetic" options are available in Somalia, from humanitarian aid to military training. “If that last couple of days have taught us anything, it reinforces the fact that [piracy] is a complicated and international problem that needs to be addressed broadly," he said. "I am fairly certain in the days ahead that this will be an issue that not only this department, but the government at large … could be doing as a national [effort] and with other international organizations, and with allies in the region as well." Whitman's talking points could have been drawn from last year's Unified Quest exercise. 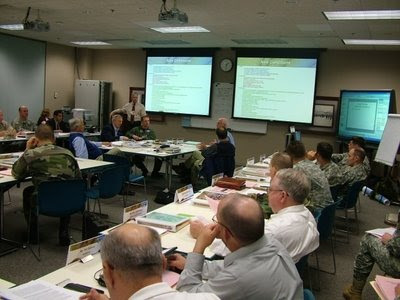 In an Army news article, Lt. Col. John Miller, deputy chief of future warfare at the Army Capabilities Integration Center, said the main lesson was better understanding how to coordinate and solve problems before the shooting starts. "If we have to put troops on the ground, something has failed," he said.